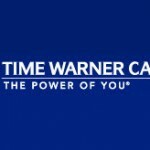 Time Warner Cable has launched Primetime HD, an On Demand channel which carries primetime shows from ABC, NBC and CBS in High Definition. Over 100 hours of shows from the networks are available including NBC’s 30 Rock and The Office; ABC’s Grey’s Anatomy and Desperate Housewives; and CBS’ Medium and CSI. “We are very excited to provide more of the quality programming that our customers have come to expect, in both standard and high-definition,” said Melinda Witmer, Executive Vice President and Chief Programming Officer for Time Warner Cable. Time Warner Cable also added over 300 hours of new On Demand programming content from ABC, Disney and ESPN to their library in standard definition.